It has been more than 40 years since Dr. Martin Luther King Jr. was assassinated, but his words and actions still resonate strongly with people everywhere. This was proven by New Canaanites who came out in droves to the United Methodist Church this morning to celebrate King's message and life. The service was characterized by a union of officials, pastors, residents and students of different backgrounds exemplifying King's dream of peace and harmony. Yet, even with all dignitaries in the building, the highlights of the ceremony were the student testimonies by New Canaan High School seniors of the A Better Chance House (ABC House). Coming from humble backgrounds, speakers Joveto Decarvalho and Elijah Westbrook spoke about overcoming adversity and the significance of King's triumphs. "It's because of him that we were able to thrive in this country without persecution," Decarvalho said. He spoke about immigrating to America from Brazil in search of a better life. Times were tough for him and his family, and they didn't improve when his father left Joveto and his mom three months after arriving in this country. They persevered and the opportunities given to him in New Canaan with the ABC House are not lost on him either. "I am grateful to be part of a town that welcomed me into their community," he said. "I am living the American dream." Decarvalho's classmate and fellow ABC housemate Elijah Westbrook echoed those statements. He described King's words as inspiration to better himself. "Change begins with one person," Westbrook said. "I can serve as a catalyst and not a bystander. I'm going in the right direction guided by Dr. King's example." The Rev. 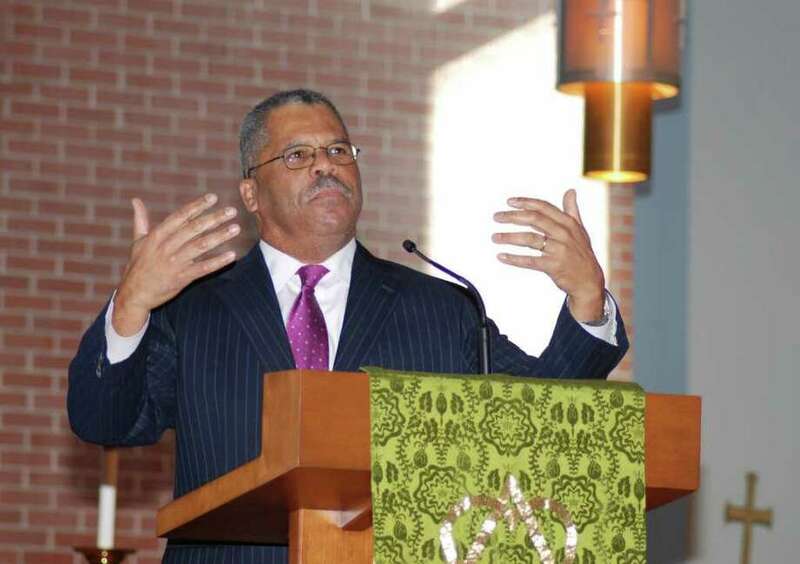 Dr. Douglas McArthur, the keynote speaker from the First United Methodist Church of Stamford, recalled the brilliance of King's dream and thought process. "He was able to synthesize various brands of thought and create something new," McArthur said. "Yet still, this dream cost a lot." The cost was great. Many citizens across the nation, not to mention King himself, sacrificed their well being in hopes of achieving unity. However, the dream has still not been fully realized as alluded to by McArthur and even the student speakers. "Martin Luther King's efforts got us equal rights but not equal opportunities," Decarvalho said. He stressed the fact that the chances he has received here in New Canaan would not have been possible at his previous home of Worcester, Mass. Westbrook also described his desire to become successful so that he can have the means to help others, like the people of Harlem he left behind when he came to New Canaan. "I have seen citizens in Harlem struggle to make ends meet," Westbrook said. "I am still struggling to understand why people are living better lives than others." With the message still as strong as it was back then, McArthur urged the community to join him in fully realizing the dream. The tensions from the Civil Rights Movement may have lessened, but there is still an opportunity to make even more strides he explained. "Some of the tension is gone," McArthur said. "But we need to be the instruments in reducing the tension. We are trying to actualize the dream." Perhaps Westbrook, who managed to distill King's message down to a few words, put it best.